"I have referred many families. It is a wonderful place with professional therapists." "Everyone is so experienced and kid friendly!" ​Vanessa Athanas M.S., CCC-SLP is a speech-language pathologist and recent graduate of Emerson College’s Communication Science and Disorders Masters Program. Vanessa received her undergraduate degree in Spanish and Hispanic Studies at Union College in Schenectady New York and has always had a love for languages! Throughout her graduate program she gained valuable experience in evaluation and treatment of children with receptive and expressive language deficits, hearing loss, feeding and swallowing disorders, articulation disorders, autism spectrum disorders, social communication deficits and augmentative and alternative communication. As a graduate student she provided therapy for all ages through an early intervention program, outpatient hospital clinics, elementary school and was lucky to learn from the talented clinicians at Peer Projects Therapy from the Heart! Vanessa loves working with all ages and has a particular interest in feeding and swallowing disorders and social communication deficits. She is a Beverly native who loves spending time by the water. Vanessa joined PPTFTH in September 2017 and is so happy to be a part of the team! ​Jil Barros M.S., CCC-SLP joined Peer Projects-Therapy from the Heart in September 2015. She is a graduate of Emerson College, and has worked as a pediatric speech-language pathologist in clinics, school settings and private practice in Massachusetts for over 20 years. She has extensive experience working with children with Autism Spectrum Disorder, receptive and expressive language disorders, social pragmatic deficits, articulation, and motor planning disorders and fluency disorders. You will see Jil at the clinic on Saturdays helping out with groups and working with individual clients. She loves the collaboration here and contact with families. In her free time, Jil likes to ballroom dance and keeps busy with her teenage daughter. We feel lucky to have such a seasoned and enthusiastic clinician on our team! ​Tifanny Collis B.S., SLPA is a Speech Language Pathologist Assistant. She received her Bachelor’s degree in Communication Sciences and Disorders and a minor in Sociology from the University of Central Florida. During this time, she gained experience working in preschools, with children and adolescents with Autism Spectrum Disorders, and tutoring. She is currently working full time as an SLPA in the public school system and her areas of interest include articulation, language, and Augmentative and Alternative Communication. Tifanny enjoys the outdoors, animals, and spending time with her family and friends. She joined Peer Projects - Therapy from the Heart in May 2017 and loves being a part of the team! ​Heidi Cope CF, SLP. After a first career in horticulture, Heidi returned to school in 2015 to obtain a graduate degree in communication sciences and disorders at the University of New Hampshire. She came to PPTFTH as a graduate student in January 2018 and began employment after graduating in May. Heidi is interested in neurogenic and neurodevelopmental speech and language disorders across the lifespan including voice, motor speech, and pediatric and adult language disorders. Her experience in the field includes acute medical, out-patient medical, skilled nursing with individuals with dementia, and pediatric speech and language in the outpatient and private practice settings. She also has experience in the Massachusetts school system as a speech assistant. Heidi especially enjoys sharing her love of nature, plants, and design, and incorporating these interests into therapy, whenever possible. She lives in Beverly with her husband Craig, and their dog Pippin. ​Andrea Gougian M.A., CCC-SLP is a recent graduate from University of Massachusetts Amherst, where she received her Master's Degree in Speech Pathology. She completed her Bachelor's Degree in Speech Language Pathology and Audiology at Ithaca College in New York. During her undergraduate and graduate career, Andrea gained experience working with adults and children with receptive and expressive language deficits, Augmentative and Alternative Communication, Autism Spectrum Disorders, cognitive language impairments, feeding and swallowing disorders, and voice disorders. 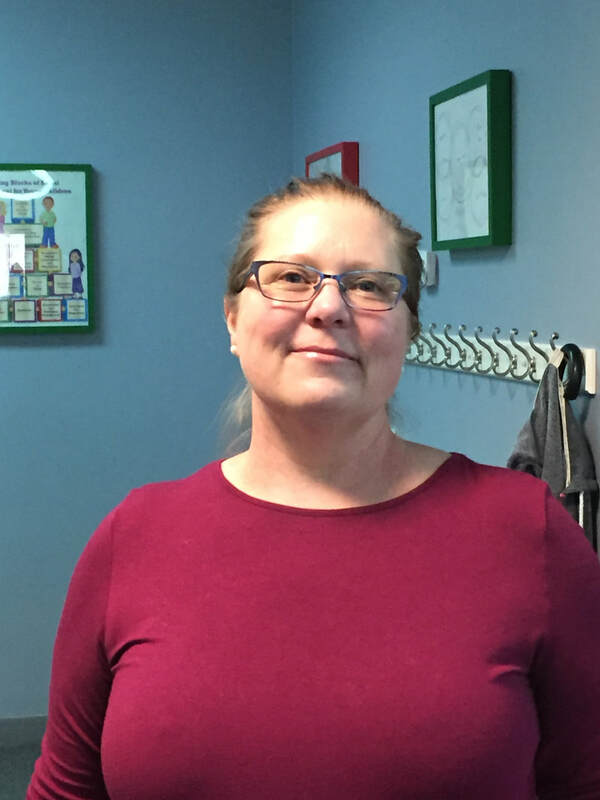 Andrea has provided therapy as part of Early Intervention home health, school programs for all ages and rehabilitation hospitals for adults and children. Andrea is a Beverrly native and loves Halloween! She joined PPTFTH in September 2016 and is excited to be part of this passionate team. We are thrilled to have her! Missy Gula B.S. SLPA is a Speech Language Pathologist Assistant. She has experience in Augmentative and Alternative Communication, receptive and expressive language deficits, language and cognitive impairments, and deaf education. Missy has extensive experience implementing applied behavior analysis techniques to bring about meaningful and positive change to the communication and social skills of children. She is currently working full-time at the Children's Center for Communication/Beverly School for the Deaf in Beverly, MA. Missy joined Peer Projects Therapy from the Heart in September 2016 and she is looking forward to helping more children communicate effectively. Elizabeth Horan B.S. SLPA is a Speech Language Pathologist Assistant. She has experience with Autism Spectrum Disorders, early intervention (EI), and receptive and expressive language deficits. Elizabeth is currently earning her Masters of Science at Emerson College for Speech Language Pathology. Throughout her education, she has worked in private practices, EI, special education for ASD, and a hard-of-hearing toddler group. 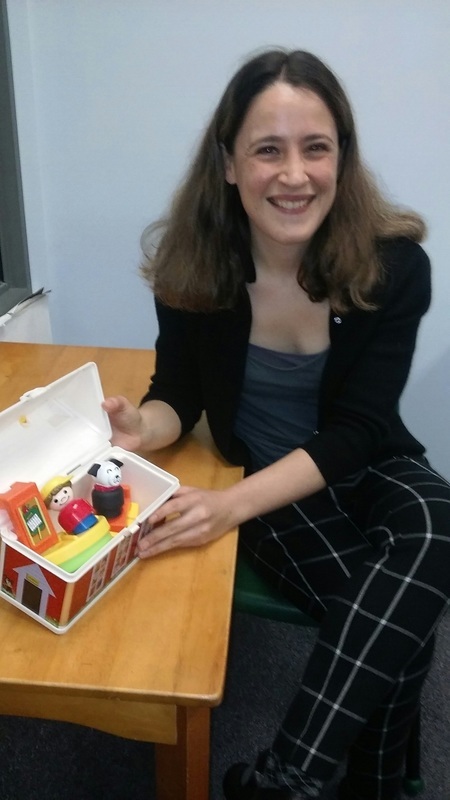 Elizabeth joined Peer Projects Therapy from the Heart in May 2018 and she is excited to work with a variety of social groups in an environment that encourages declarative thinking and expression. Larissa Kortis MS., CCC-SLP is a speech-language pathologist and recent graduate of Northeastern University. During her graduate career she gained experience working with both adults and children with Autism Spectrum Disorders, receptive and expressive language deficits, articulation and apraxia/motor planning deficits, phonological disorders, social-pragmatic deficits, cognitive language impairments, and swallowing disorders. Larissa provided therapy in schools, rehabilitation facilities, and a hospital. Larissa enjoys working with a wide range of populations, but she is especially interested in the areas of articulation, social skills/pragmatics, and language. Larissa grew up on Cape Cod and continues to love to spend her free time on the beaches. She joined Peer Projects ~ Therapy from the Heart in June 2016 and is very excited to be part of the team! Jaime Gilmore B.A., SLPA is a Speech Language Pathology Assistant. She received her Bacherlor's degree from Worcester State University where she double majored in Communication Sciences and Disorders and Spanish. She gained experience while working in a small, pediatric clinic as a rehab aide while in high school. Jaime has experience working with articulation and language delays/disorders, pragmatic delays/difficulties, and executive functioning difficulties among the pediatric and Autism Spectrum population. Her interests include articulation and language therapy and watching social growth within small group settings. She joined PPTFTH in September 2016. Anna Lewis B.A., SLPA officially joined the Peer Projects Therapy from the Heart team in February 2019 after completing an undergraduate practicum there earlier this fall. She also gained experience working with 3-5 year old students in a locat preschool She has graduated from Gordon College in December 2018 with a degree in Linguistic and a minor in Speech Language Pathology. Anna's area of experience include working with children and adoloescents with Autism Spectrum Disorder, Augmented and Alternative Communication, articulation disorders and receptive and expressive language deficits. I her free time she enjoys reading and being outside. Amy Meltzer M.S., CCC-SLP earned her Masters from Boston University in 2008. She received her Bachelors degree in psychology at Muhlenberg College in Allentown, PA. Amy specializes in Alternative and Augmentative Communication, tablet and device programming for both education and communication. Amy is always thinking of innovative and creative ideas to help her students/clients. She works full time with children and young adults ages 3-22 with moderate to severe disabilities at a local school. She has nearly 7 years experience working with children and young adults with difficulty in social skills, functional communication, and articulation. Amy loves to find innovative and exciting ways to incorporate technology into her practice. She has helped develop communication apps and she also works a part time telepractice (speech therapy online) job for a middle school in the Mariana Islands. Amy enjoys going for walks/jogs, playing outside, and swimming with her three young children. Amy joined Peer Projects - Therapy from the Heart in December, 2014 and she is looking forward to helping more children communicate effectively, sharing her knowledge and skill-set with this fantastic team of therapists, and gaining new knowledge and experiences! 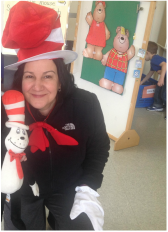 Lorin Moustakis B.S., SLPA is a Speech Language Pathologist Assistant. She completed her Bachelor's degree at the University of Massachusetts, Amherst in Communication Disorders with Minors in both Education and Psychology. During her undergraduate degree, she gained experience working in preschool and elementary schools. Since graduating in 2015, she has been working in special education classrooms at the Children's Center for Communication, Beverly School for the Deaf in Beverly, MA. She has experience in Augmentative and Alternative Communication, receptive and expressive language deficits, as well as language, communication and cognitive disorders. Lorin joined Peer Projects Therapy from the Heart in November 2016. Kristin O’Connor B.A., SLPA is a Speech Language Pathology Assistant. She received her Bachelor’s degree in Communications with a concentration on Speech and Hearing Science at Rhode Island College. During her college career she worked for Perspectives Corporation at a group home with adolescent males with disabilities. During this time she gained experience working with individuals on the Autism Spectrum, individuals with Down Syndrome, and those with mood disorders. She currently works full time in a special education classroom at the Children’s Center for Communication Beverly School for the Deaf. There she has gained experience with receptive and expressive language deficits, Augmentative and Alternative Communication (AAC), and communication disorders. Kristin enjoys writing, nature, skiing, and cooking. Kristin recently relocated to Massachusetts from Rhode Island in September and joined the PPTFTH team in October 2017! Deirdre Mulcahy Patch M.S., CCC-SLP brings over 26 years of experience in the field of Pediatric Speech and Language with a focus on feeding and swallowing disorders. She has experience in a variety of settings including home health, rehabilitation hospital, outpatient clinic and school based. Supporting children with complex feeding disorders and their families earned her the Irma Simms Rubenstein Award for Clinical Excellence. As Senior Pediatric Speech Language Pathologist at Spaulding Rehabilitation Hospital in Boston, Deirdre provided services to a wide range of children with complex medical needs including preterm infants, tracheostomy and ventilator dependent children. In addition to treating children both on the inpatient unit and outpatient specialty clinics, she performed Modified Barium Swallow Studies. Deirdre has her certification in Neurodevelopmental Treatment supporting children with neuromuscular issues that impact speech, feeding and swallowing disorders. As a clinical specialist, she implemented a feeding and swallowing program and mealtime groups within the Robbins Center at the Communication Sciences & Disorders Undergraduate Program at Emerson College. At the time, the group programs were the first in the Boston area. In addition, as an Adjunct Professor, she participated in the instruction of students in varying college courses on feeding and swallowing. Linda Murphy, director and owner of Peer Projects, was one of Deirdre’s graduate interns. This is how Linda and Deirdre first met! As a highly respected professional, Deirdre is frequently sought after to provide evaluation, consultation and treatment for the complex child with mealtime challenges. Her own continuing education experiences have focused on feeding and swallowing issues and related topics. Families are always at the center of her treatment sessions. Deirdre enjoys the outdoors including gardening, everything to do with the beach, and skiing. Her greatest joy is marveling at her three children and their discoveries! Leigh-Anne Postizzi M.S., CCC-SLP has been with Peer Projects - Therapy from the Heart since 2011. Since graduating from Emerson College in 2003, Leigh-Anne has practiced speech language pathology in both private practice and school systems in California and Massachusetts. She has extensive experience working with children, adolescents and adults with Autism Spectrum Disorders, motor planning/apraxia, receptive and expressive language deficits, augmentative alternative communication, executive functioning and social pragmatic deficits. She has advanced clinical training in PECS, PROMPT, DIR®/Floortime™, Talk Tools and has attended several Social Thinking® conferences led by Michelle Garcia Winner. Leigh-Anne utilizes a family centered approach in her therapy and is certified in Hanen’s ‘It Takes Two To Talk’, a program designed specifically for parents of young children identified with language delays. Sue Savarese M.S., CCC-SLP has been a practicing Speech and Language Pathologist since completing a Master's degree from Emerson College in 1994. Sue received her undergraduate degree in Family Studies from the University of Kentucky which she has found complements her work with clients and their families. Before pursuing a Master's degree, Sue worked in residential schools for children with a variety of disabilities including autism, hearing impairment, and developmental delays. Sue spent several fulfilling years after obtaining her Master's degree working with adults in health care facilities. During this time, Sue taught First Steps in Music classes in preschools, integrated classrooms in Manchester-Essex and Hamilton-Wenham schools and story time groups at the Hamilton-Wenham library for infants and toddlers. Most recently, Sue has expanded her passion for working with children by providing speech and language services in the Manchester-Essex Integrated Preschool. Sue has experience working with children with apraxia, articulation and phonological disorders, and stuttering as well as expressive and receptive language delays. Sue has found that combining music activities with speech and language therapy can be an effective approach for children with a wide variety of challenges. Sue is thrilled to be part of the Peer Projects - Therapy from the Heart team. 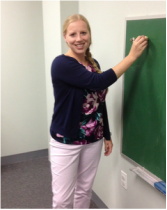 Katie Schreiner B.S., SLPA is a Speech Language Pathologist Assistant. She received her Bacherlor's Degree in Communication Sciences and Disorders from The College of Saint Rose in Albany, NY. Katie has experience in Augmentative and Alternative Communication, receptive and expressive language deficits, language and cognitive impairments, and deaf education. Katie's areas of interest include AAC, articulation, and language. She joined PPTFTH in May 2016. ​Kelly Scott B.S., SLPA is a Speech Language Pathologist Assistant. She received her bachelor’s degree in Communication Disorders and a minor in Education from the University of Massachusetts Amherst in 2017. During this time, she gained experience working in a preschool, volunteering with an organization called Aphasia Pals, and working for the MGH Aspire summer program. She currently works full time at a local high school as an SLPA. She has extensive experience working with children with social/pragmatic difficulties, executive functioning needs, communication disorders, ASD, and ADD/ADHD. Kelly is also working towards her Masters in Education for Double Licensure as a School Counselor/School Adjustment Counselor with a certificate in ASD studies. Kelly joined PPTFTH in September 2018 and is thrilled to be a part of this team! Sybille Sainclair B.S., SLPA is a recent graduate from Bridgewater State University, receiving her Bachelor’s Degree in Communication Disorders and later receiving her SLPA license. Prior to earning her Bachelor’s Degree, Sybille majored in Early Childhood Education at Northshore Community College, obtaining experience in an integrated preschool setting. Sybille also has experience with a range of ages and populations which have included work in residential homes with children from ages 3 to 18 with backgrounds of trauma, behavioral health, and children on the Autism Spectrum, in hospital settings with the elderly, and doing ABA with children on the Autism Spectrum. Sybille joined Peer Projects Therapy From the Heart in October 2018. She likes to spend time with her family and is planning to continue her education as a speech language pathologist. Katie Vitas M.S., CCC-SLP, CEIS has been practicing as a Speech and Language Pathologist since graduating from Emerson College in 2006. She completed her Bachelor’s Degree in Communication Sciences and Disorders at James Madison University with minors in Special Education and Spanish. Katie worked in Early Intervention in Cambridge and Somerville, MA for two years where she met Linda; they worked closely until Linda left to commit to her private practice full time. In 2007, Katie pursued her aspirations to become a Reading Specialist, knowing this would complement her speech and language background. In May 2011, Katie received her Certificate of Advanced Study in Reading from the MGH Institute of Health Professions. As part of her reading studies, Katie received her Wilson Reading Program certification while working in the Wellesley Public Schools at a K-5 elementary school. 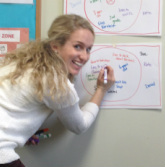 Throughout her four years working as an SLP in Wellesley, Katie continued her professional development by participating in an eight week training course on Thinking Maps®, training in Project Read Written Expression: Framing Your Thoughts®, and Visualizing and Verbalizing®, along with workshops and studies in others areas such as Michelle Garcia Winner’s Social curriculum. Throughout her career, Katie has worked with clients ranging from toddlers to young adults with a variety of speech and language challenges including, articulation, stuttering, apraxia, receptive and expressive language, executive functioning, auditory processing and social thinking. 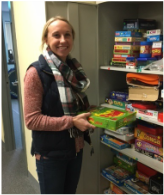 Katie has particular interests in the areas of receptive and expressive language, related to reading and writing challenges, as well as the area of social thinking. In addition, collaborating with a child’s family and team is an essential component to any therapy and one that Katie holds in high regard. Katie has enjoyed working as a part of the Peer Projects - Therapy from the Heart team since September 2013. A more flexible, part time schedule has proven to be the perfect balance of career involvement and spending time raising her two young sons at home. Sara Zion M.S., CCC-SLP has been a Speech-Language Pathologist since she graduated from the MGH Institute of Health Professions in 2006. She was drawn to the field by multiple factors, including her own struggles with speech and learning issues, her study of Linguistics in college and her work at a Lindamood-Bell reading clinic. Sara has always been interested in the connection between spoken and written communication disorders, and pursued a secondary certification in reading during her graduate studies. She has training in social pragmatics and is also proficient in the Spanish language, having studied abroad in Bolivia as part of her Spanish major in college. She has experience working with children and adolescents with autism, learning disabilities, articulation disorders and apraxia in both public schools and private clinics. She is currently working full-time for the Salem Public Schools. She was thrilled to join Peer Projects - Therapy from the Heart in September 2015. She is passionate about pursuing pottery in her free time.